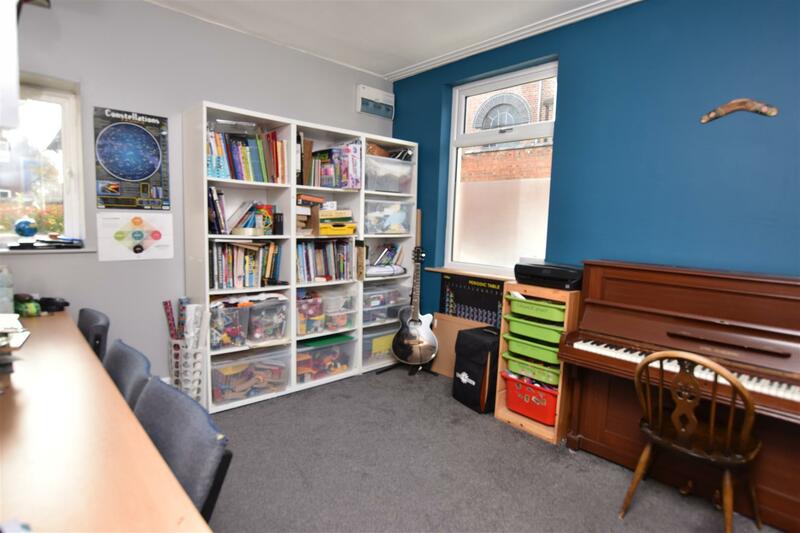 UNIQUE DETACHED FAMILY HOME PLUS SEPARATE COMMERCIAL OFFICE UNIT. 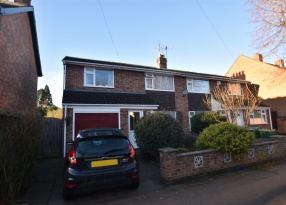 A Truly unique opportunity that will be of particular interest to these running a home based business such as graphic design or photography studio etc with plenty of space for a young and growing family to reside along side a working/living lifestyle. 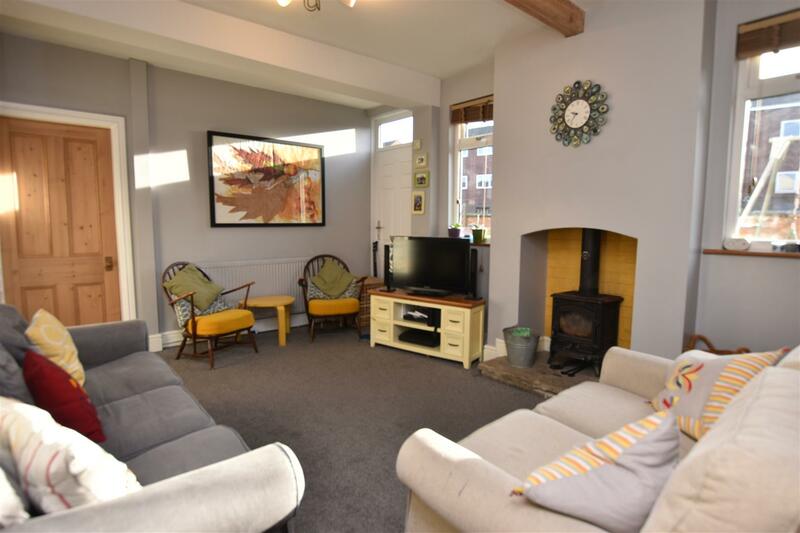 The impressive accommodation enjoys heritage style features including a 27' living dining kitchen with parquet wood floor, internal stripped pine doors and space for a log burner in the lounge. 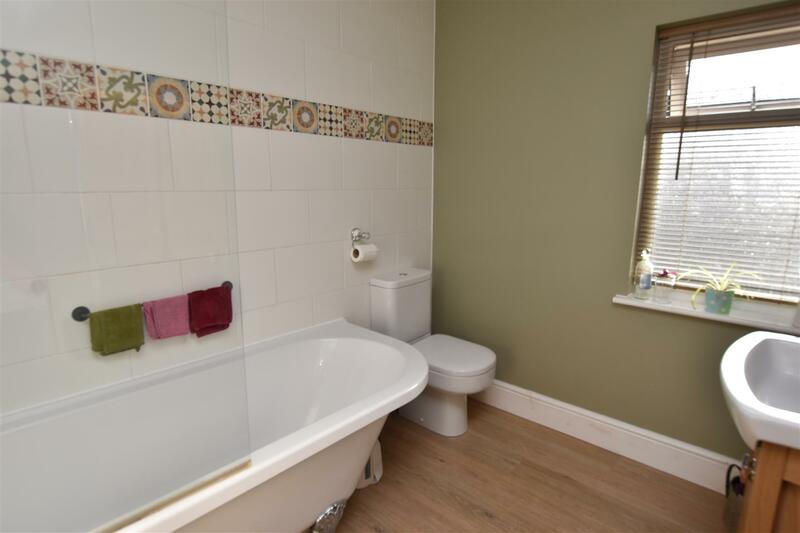 There are two separate reception rooms, a utility room with ground floor wc, four bedrooms and family bathroom. 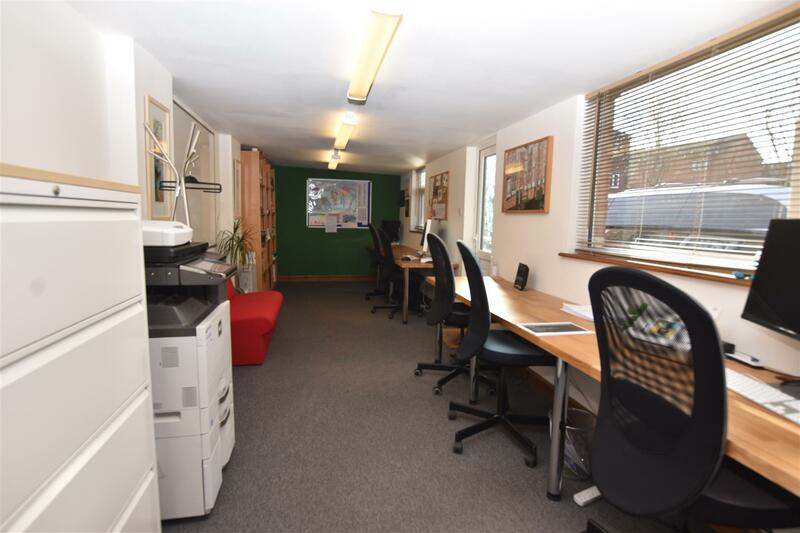 Located within this popular edge of town centre location the property has a fully walled generous lawn garden with off road parking, a large attached work shop/storage outbuilding and within the grounds the detached 40' long commercial office studio. 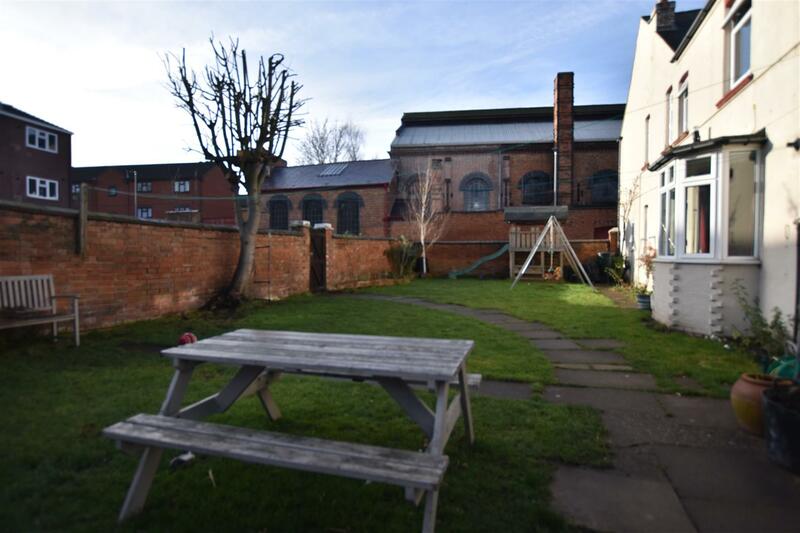 A convenient spot for Loughborough Train Station, an excellent range of shopping and leisure facilities within the town centre and situated opposite the historic building of Taylor's Bell Foundry Museum. uPVC double glazed front entrance door leading to entrance utility room. 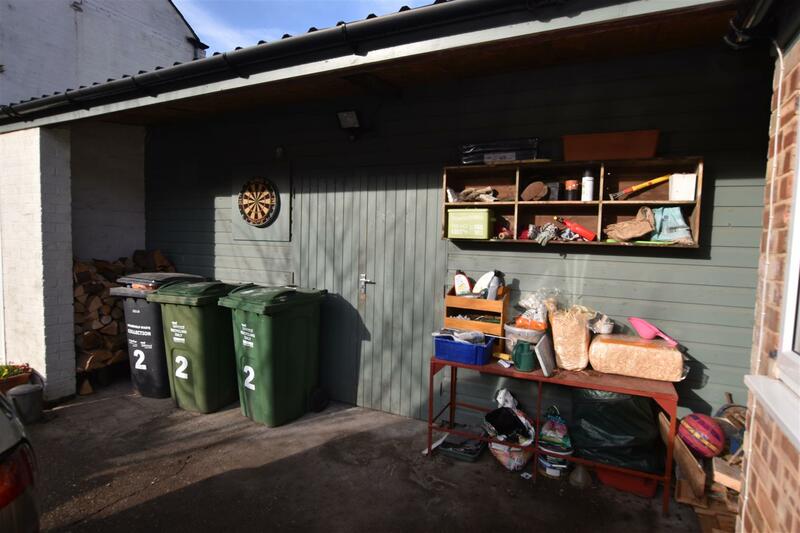 An alternative door straight into the lounge is another entrance to this property but the current vendors access via this particularly useful space with room for cloaks hanging, show and boot storage and utility area. 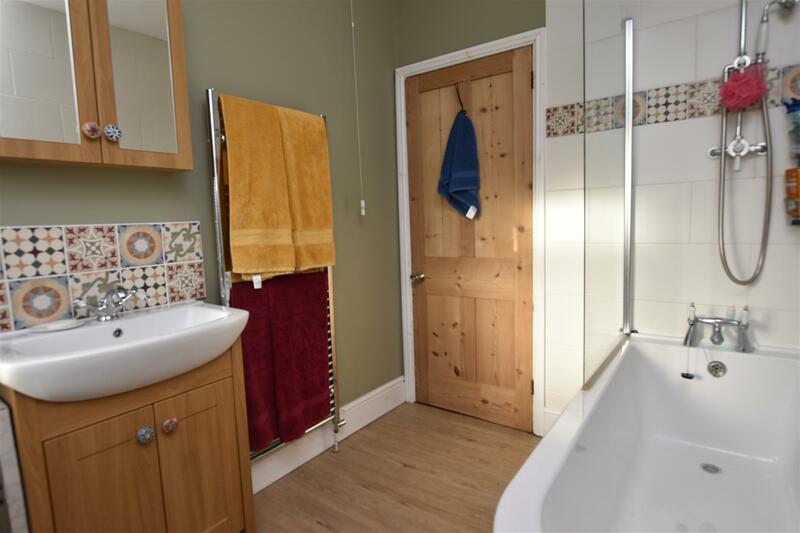 With plumbing for automatic washing machine, space and vent for tumble dryer, double base unit cupboard, roll top work surface, inset stainless steel sink unit and tiled splash backs. Groove effect wood laminate flooring, two uPVC double glazed windows, a large pantry storage cupboard suitable for an upright fridge freezer with light and power and shelving, timber framed single glazed inner entrance door leading to the dining room and a heritage style original door leading to a grpund floor wc. 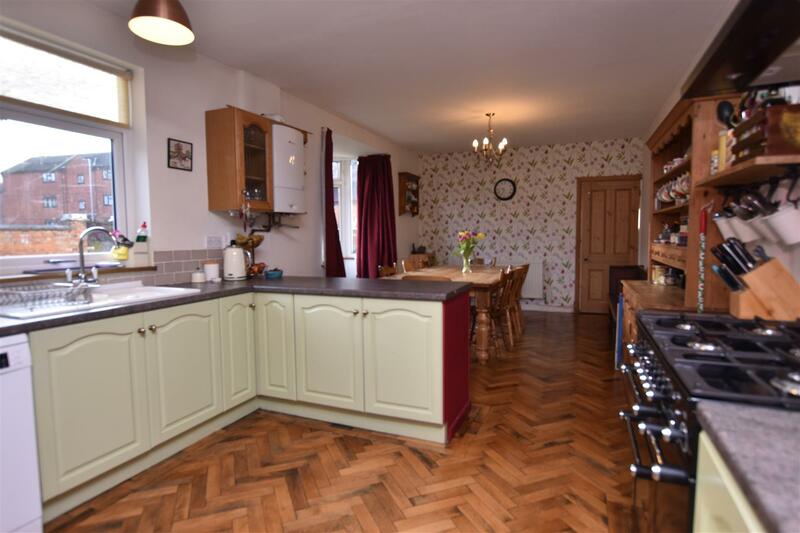 With a white low level wc, wood laminate flooring and extractor fan. 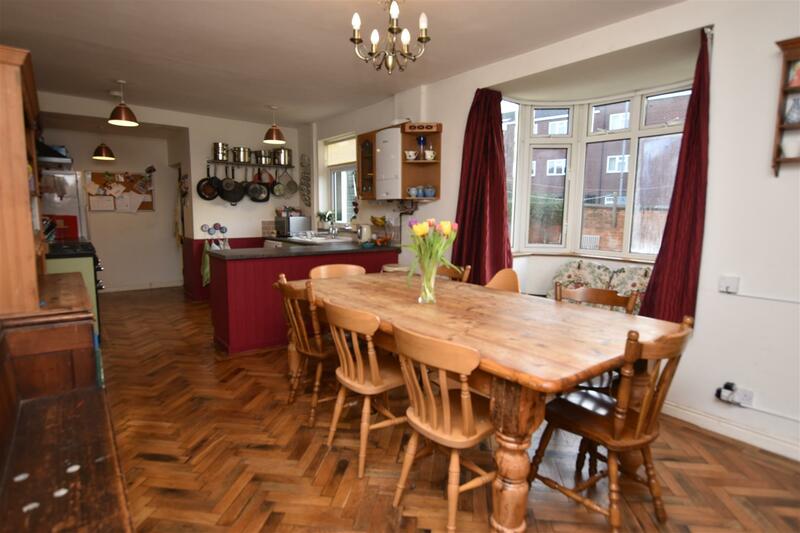 A generous bright and airy kitchen space with room for a dining table and/or sofa arrangement and featuring heritage style herringbone parquet wood flooring. 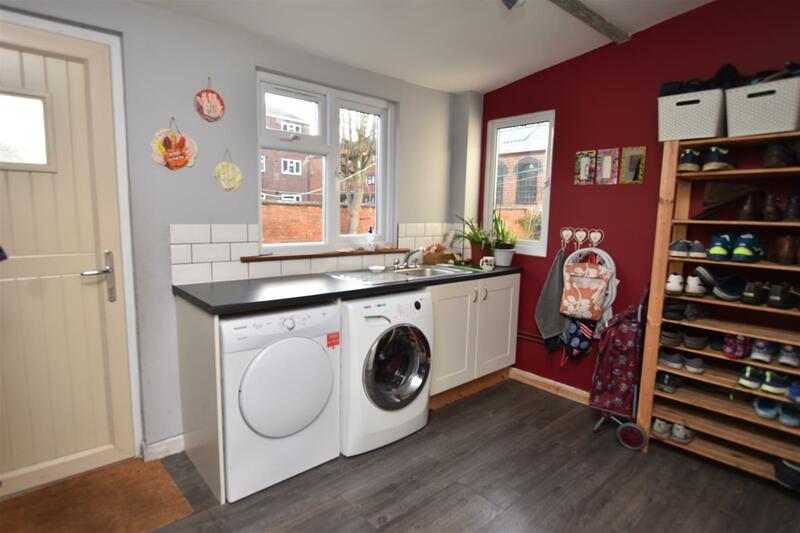 The kitchen has a range of base unit cupboards with drawers, plumbing for dishwasher, space for an upright fridge freezer, roll top work surfaces, inset porcelain sink unit with mixer bowl. Gas and electric cooker points with space for a range style oven with extractor hood, tiled splashbacks. 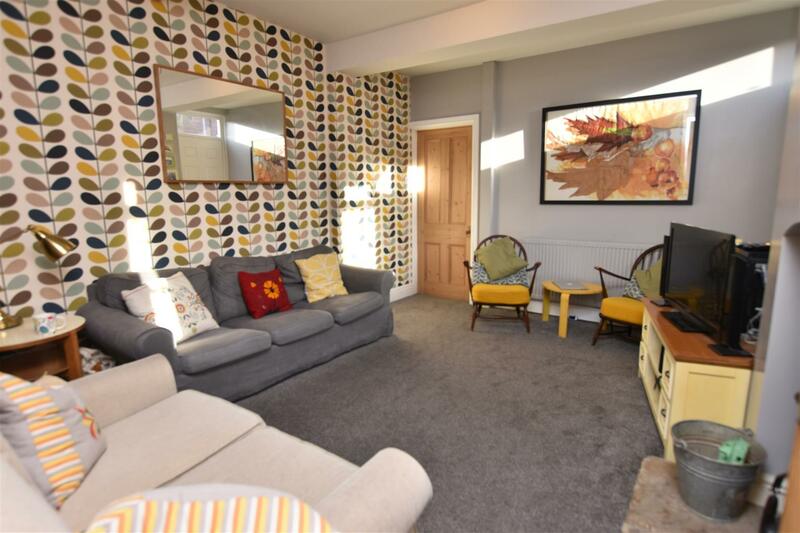 Feature wall with contemporary wall covering, two radiators, 'Worcester' combination gas central heating boiler, two uPVC double glazed windows, one of these being a bay, original stripped pine door leading to the lounge. A stylishly finished living space centred around space for a cast iron log burner (log burner not included) with flag stone hearth, feature wall with contemporary wall coverings, radiator, exposed central ceiling beam, two uPVC double glazed windows, composite front entrance door with double glazed window above. Stripped pine door and enclosed staircase leading to the first floor, stripped pine door with cellar access, the cellar has light and particularly useful for storage and a stripped pine door leading through to the family room. 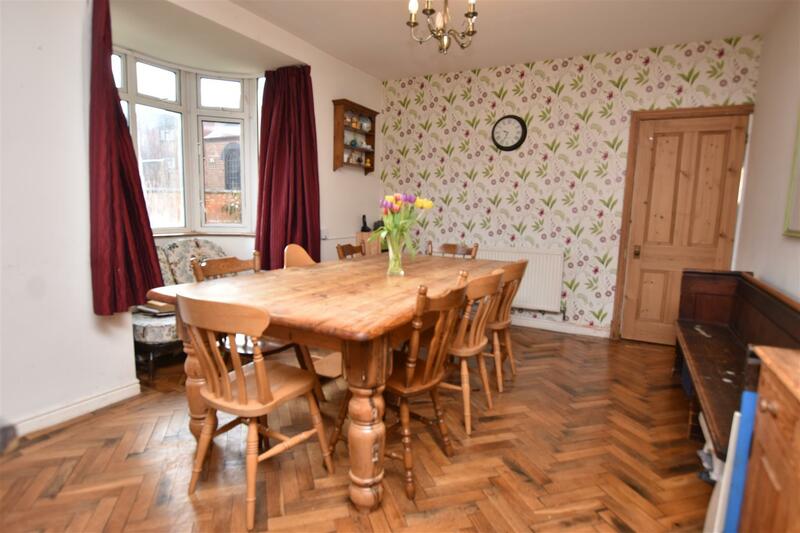 A versatile room currently used as a family room and lending itself to a home office, music room etc. 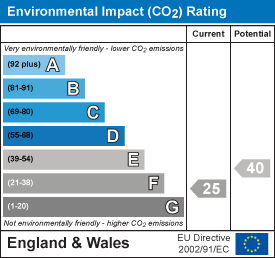 With two uPVC double glazed windows and radiator. 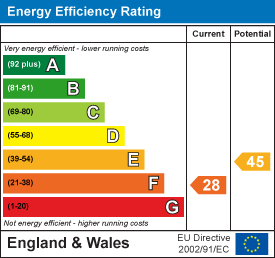 With two radiators and a glazed skylight window. 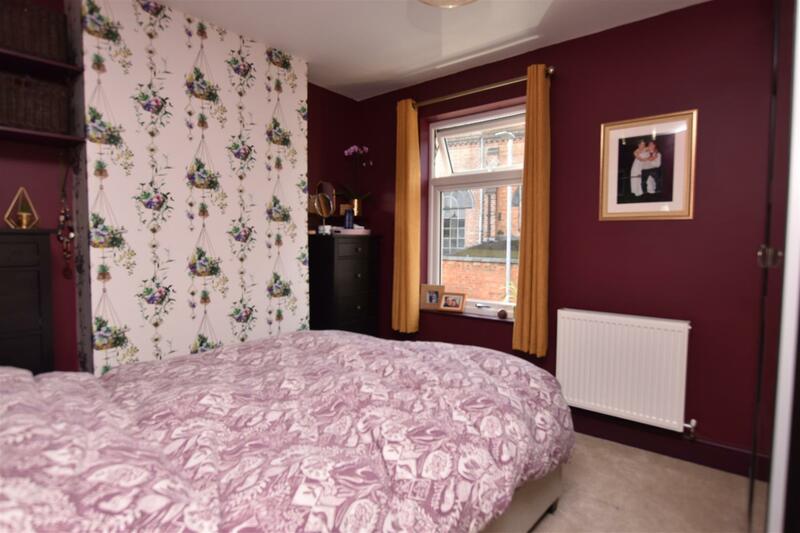 A double sized bedroom with feature chimney breast having contemporary wall coverings, uPVC double glazed window with a heritage view of industrial Loughborough, particularly of Taylors Bell Foundary. Radiator and stripped pine entrance door. 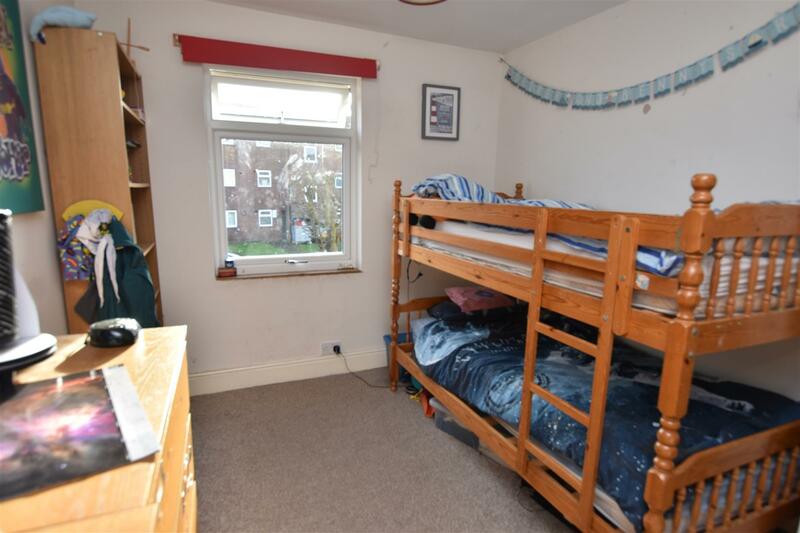 A second double sized bedroom with uPVC double glazed window overlooking the garden and radiator. 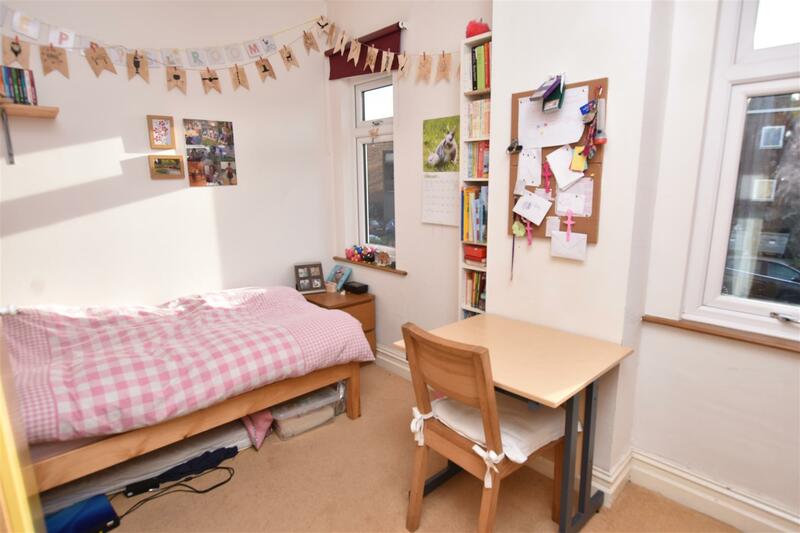 A bright and airy bedroom with two uPVC double glazed windows overlooking the garden, over stairs storage alcove and radiator. Featuring a quality white three piece suite with a claw foot free standing bath with glass shower screen and mixer shower having a rain style shower head and separate shower attachment, low level wc, vanity style wash hand basin, tiled splashbacks, wood effect Karndean style flooring, chrome heated towel radiator, uPVC double glazed window and original stripped pine entrance door. 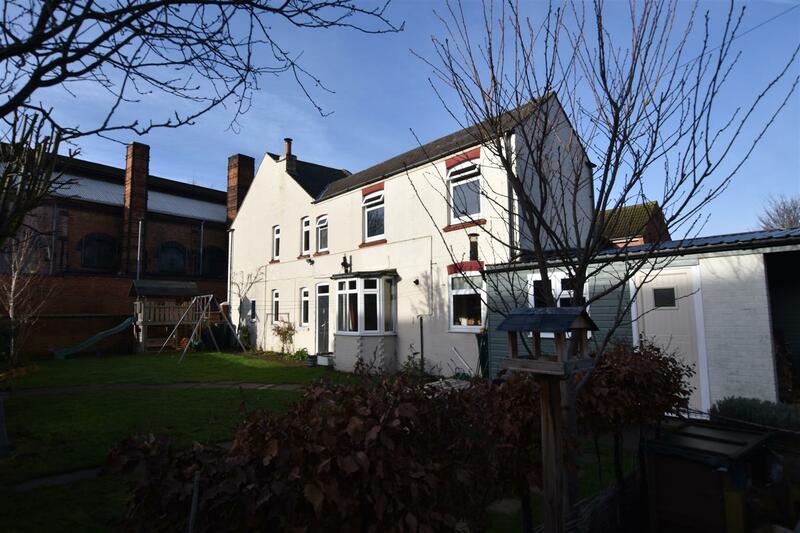 The detached property stands sideways on to the road creating a main facade which formerly was an end terraced property with the former attached terraced houses having been demolished in the 1970/80's leaving this as a remaining detached dwelling. 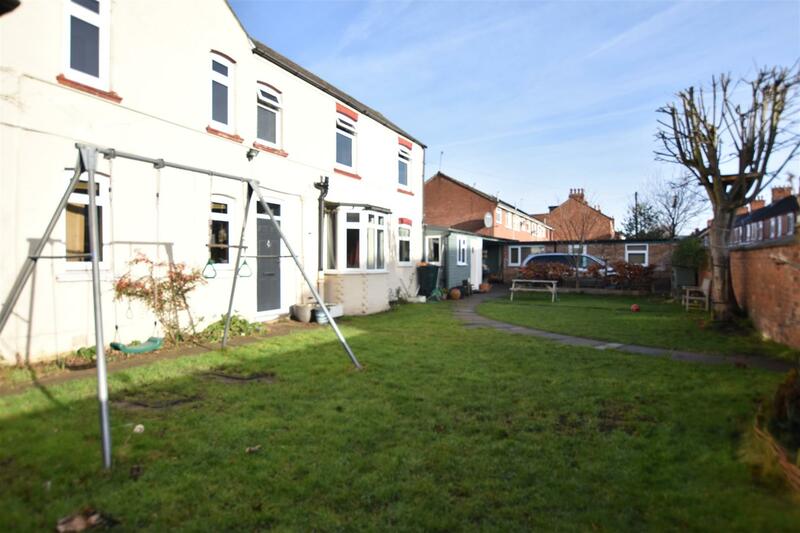 The generous walled garden sits entirely to the front of the property with nothing to the rear, laid to lawn with borders and shrubs, pedestrian and vehicular gates providing off road parking for currently one car and the potential for more. Along with an attached large workshop/storage out building measuring 18'7 x 11'4 with timber double opening doors, internal light and power and making a great space for bicycle/motorcycle storage as well as room for additional freezer or workshop use etc. 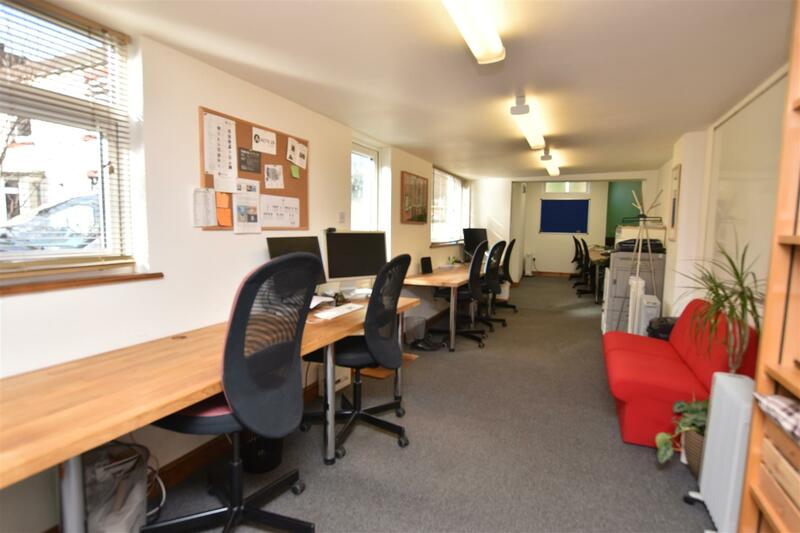 A unique opportunity to run a home based business and with further potential to use the space for hobby activities such as a photography or design type studio and possible separate rental (subject to necessary planning applications). 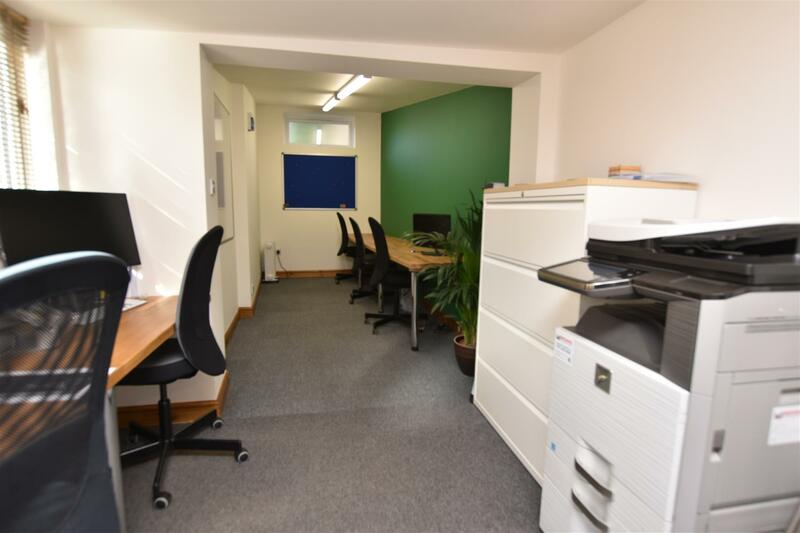 The single storey unit is fully insulated with professional lighting, fitted work desks, three uPVC double glazed windows and entrance door with heating is currently via freestanding electric heaters (not included in the sale). Proceed on Nottingham Road, turning right on to Bromhead Street where at the 'T' junction you should turn left onto Bishop Street, next right onto Hudson Street where at the next 'T' junction you should turn right onto Boyer Street where the property is situated on the right hand side as identified by the agents 'For Sale' board.